QDRO's (sometimes referred to as QUADRO) are controlled by and must comply with federal law. The controlling statue is contained in the Employee Retirement Income Security Act (ERISA). It defines a QDRO as a domestic relations order that creates or recognizes the existence of an alternate payee's right to receive, or assigns to an alternate payee the right to receive, all or a portion of the benefits payable with respect to a participant under a retirement plan, and that includes certain information and meets certain other requirements. The U.S. Department of Labor frequently asked questions, available here, is a good place to start learning about QDRO's. I can help at any point in the process. If your divorce is not yet completed, I can obtain the proper information from the retirement plan in question, and suggest the language to be included in your Judgment for Dissolution of Marriage. My advice will of course depend on your role, are you the member (Participant) or the one that is to receive benefits of your former spouse's plan (Alternate Payee). If the Judgment has already been entered, I can draft the QDRO, and submit it to the Plan Administrator for pre-approval. Once pre-approved, I motion the court for entry of the QDRO. Once entered by the Judge, I obtain a certified copy of the QDRO and provide that copy to the Plan Administrator. If the plan is a 401(k) type plan, the Plan Administrator will implement the QDRO and divide the Participant's (person that participated in the plan) portion per the QDRO, rolling over the Alternate Payee's (other party) share of that portion into a new account in his/her name. 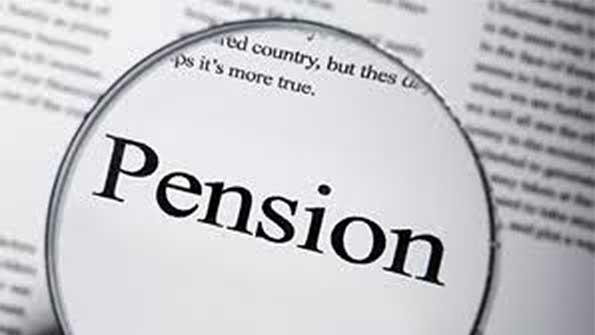 If the plan is a pension type plan (a plan that will pay a monthly benefit from time of retirement until death), the Plan Administrator will implement the QDRO and wait until the Alternate Party is eligible to receive his/her monthly benefit based on the Alternate Payee's expected life span. Some Plan's do not have this option, and the Alternate Payee must wait until the Participant reaches his/her earliest to receive the Alternate Payee's portion (usually reduced), or until the Participant actually retires, to receive the Alternate Payee's full benefit. The retirement plans requiring a QDRO to be divided can be very complicated. The terms of the QDRO are very arcane, but extremely important. The wrong wording can cause one to gain tens or hundreds of thousand of dollars more/less, or loose all interest in a retirement plan when the other party dies. Each plan and its division should be handled by an experienced attorney. If your Judgment has been entered, I can review it, and if there are problematic provisions, I can ask the court to revise it, or appeal the Judgment to the Appellate Court. However, in most instances, all this must be done within 30 days of entry of the Judgment. If the QDRO has already been entered, I can review it. If it provide too much or not enough benefits or protections, I can motion to court to revise it or appeal the court's decision to the appellate court. Time is of essence in these circumstances. Of course, which option you choose will depend on the particular situation: how much money is involved and what your chances of winning are. You will know the first part and I will inform you of the second.